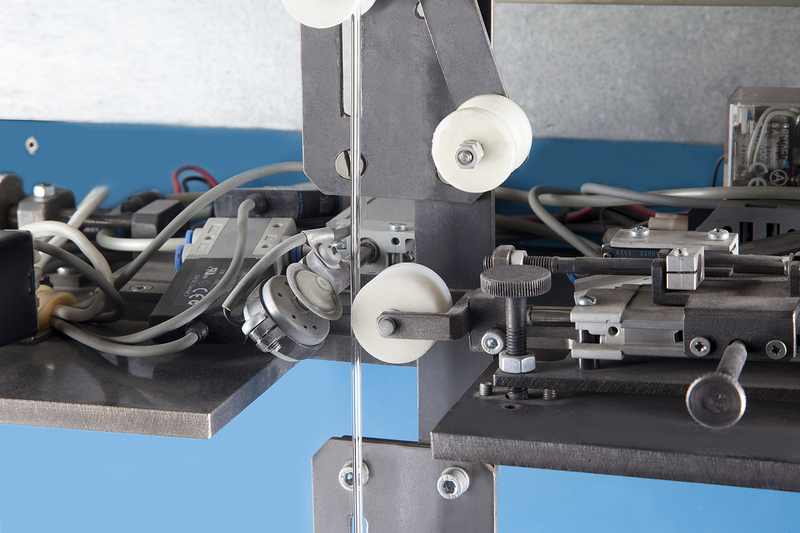 machines for glass tubes and rods cutting with the help of a diamond wheel. Material is manually fed to the wheel. The wheel diameter is 150 mm. The wheel revolution rate is 3000 r.p.m. intermittently operating devices for tubes and rods cutting in the process of their drawing. 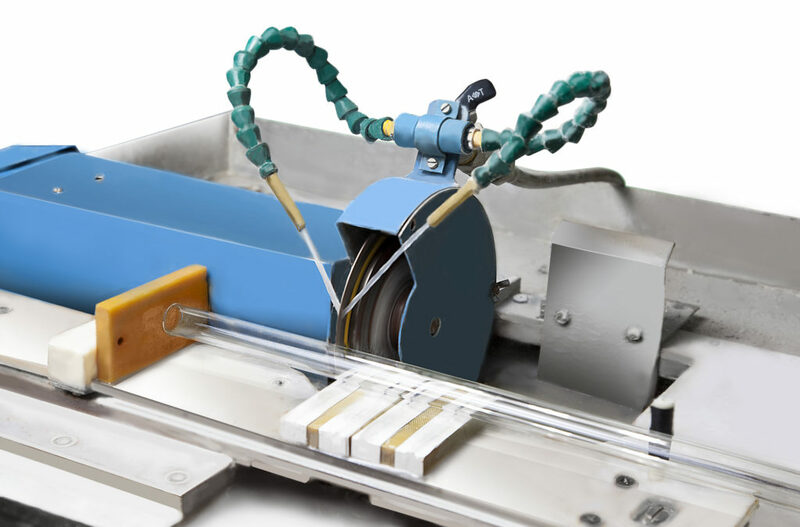 The cutting method is as follows: glass notching, the glass product bending in the place of notching and breaking off. Cutting accuracy is ±5 mm. The glass is notched with the help of a rotating small diameter diamond wheel. Cut tubes and rods diameters are up to 5 mm inclusive. Cut tubes minimum length is 70 mm, the maximum output is 21 cuts per minute.